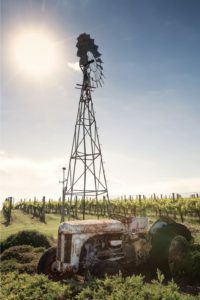 Mornington Peninsula’s Ten Minutes By Tractor Pinot Noirs are due for release on the upcoming Queen’s Birthday long weekend, Saturday 8th of June. Their flagship Estate Pinot Noir, and many of the single vineyard wines have been sold out for some months now. This is due to their superior deliciousness and the limited quantities of these exemplary wines. 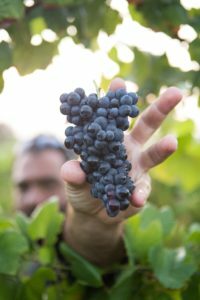 Unfortunately for eager customers of Perfect Day Tours, the 2016 vintage of the Estate Pinot Noir, as well as the tiny quantity of single vineyard wines from the McCutcheon, Judd, and Wallis vineyards sold out far too quickly. Patience, they say, is a virtue. Especially where these magnificent Mornington Peninsula treasures are concerned. With 2017 being a much anticipated vintage release – we will be counting down the days until release. How many more sleeps until Saturday 8th of June? A good Sangiovese should be medium bodied and textural. The very best are expressive of the soil in which they are grown, much like Riesling or Pinot Noir. These wines can be a window into the dirt from which they rise. I am always delighted to detect a hint of ‘dusty roads’ in my Sangio’s I find the aroma evokes the memory of seemingly endless dusty gravel roads from distant travels. Although there are many clones among the Sangiovese family, the well chosen ones have a lovely line of acidity, making them one of the best wines to match with food. One of my most memorable ‘light bulb’ moments was the time I drank a Chianti Classico (a predominantly Sangiovese blend from Tuscany), with a simple Bolognese pasta dish. Until that moment – I had not found a red wine that could taste so delicious with tomato based dishes, as well as fresh basil and Parmesan. My favourite Aussie Shiraz and Cabernet Sauvignon appeared clunky and disjointed when paired with such a dish. So what is it that makes Sangiovese such a great food wine? For starters – it is not too ’big’ on the mid palate. Over more than a thousand years of cultivation – Sangiovese has learned its place. It knows how to support food, rather than dominate. A very mature attitude. Thank you Sangiovese. 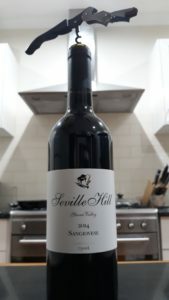 Further to the dusty roads thing – Seville Hill Sangiovese 2014 also reveals subtle notes of red to dark berries. Soft tannins, due in part to the bottle age add to the allure. The palate is fresh and supple. I enjoyed my Seville Hill Sangiovese with Spanish inspires stuffed red capsicum. The long line of fresh acidity cleanses the palate, compliments the smoked paprika in the dish. Established in 1991,Seville Hill Winery is located in the cooler, Upper Yarra Valley area of Seville. Beautiful views of the Warburton Ranges and Yarra Valley add to the attraction of a visit to the cellar door. Never one to sit still, owner /winemaker John D’Aloiso and his wife Josie originally farmed stone fruit and strawberries. Now, magnificent mature cherry trees also deliver an abundant crop, from late November through December. Once the cherries are picked, its time to get ready for the grape harvest in late Februrary. 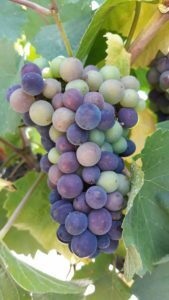 The Seville Hill vineyards were originally focused on the traditional French varieties of Cabernet Sauvignon, Chardonnay, Pinot Noir,Shiraz and Merlot, Seville Hill has also added other delicious, food friendly Italian varieties of Nebbiolo, Sangiovese, and Barbera. The king of Spanish grapes,Tempranillo is also among the impressive suite on tasting. John believes his wines are best after a few years in the bottle. So a tasting at Seville Hill allows you to taste wines that are more mature and ready to drink than at most cellar doors. Further to the cool Upper Yarra Valley site, John also has grapes growing in vineyards around Lilydale. This warmer area of the Yarra Valley, known colloquially as ‘The Valley Floor’, allows many of the red varieties the extra heat they require to fully ripen. One of my favourite destinations for my customers for lunch – it is a delight to savour your favourite wine from the extensive tasting with your delicious, seasonal Italian inspired lunch. The value and hospitality are hard to match. Three spectacular English Elm’s offer welcome shade in the warmer months. Dining beneath the Elms whilst taking in the spectacular views – with a glass of something special, makes for a memorable afternoon. 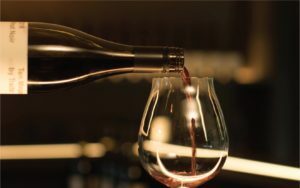 Seville Hill is a proud member of the Smaller Wineries of the Yarra Valley – which often have special offers and events. Breaking News – Ten Minutes by Tractor, Main Ridge Mornington Peninsula, are not able to show their distinctive and delicious range of Pinot Noirs at their cellar door – as they have sold out. This is due in no small part to the devastating fire that destroyed the restaurant and cellar door on the 25th February 2018. The temporary cellar door is located at Petite Tracteur, Main Ridge. Happily the 2018 vintage of the Ten X Tractor Pinot, as well as the Estate range, is not far away,and should be ready in late February 2019. The Single Vineyard range, as is the TXT tradition, are due for release on the Queen’s Birthday long weekend in June. No one from TXT knows when the new restaurant and cellar door will be opening. There should be an update on progress soon. Stay tuned. Tokar Estate, Madden’s Lane, Coldstream, Yarra Valley. 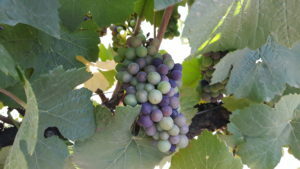 There is a smaller bunch to the left that is not as exposed to as much morning sun as the bunch in the center of the shot – so it will still take a little more time to start to ripen. 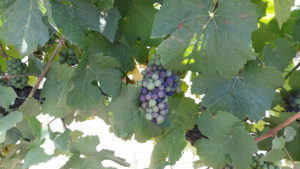 This bunch of Pinot Noir grapes looks full of promise. Disease free, and as happy as a young bunch of Pinot can be. Lovely. I am excited to let you know that from Monday, 21st of January,in conjunction with Radio 3 RRR, we will be running a Perfect Day Tours sponsorship promotion.The promo will run until Sunday 10th of February. I love listing to the outstanding programmes on Sundays, and I try to never miss ‘Eat It’ at 12.00pm. Always great to hear Cam and Matt chatting about food. For lovers of Food & Wine,’ Eat It’ offers great information on seasonal produce. (Thanks John at the market! So glad you are back.) Recipe ideas, cooking techniques as well as insightful interviews with leading chefs are great listening.Wine and other exotic beverages are also covered extensively. What a treat to hear that hard working winemaker Duncan Buchanan delivering a blow by blow account of what’s happening in the vineyard and winery. He also gives insights into the vagaries of the season – that most important element that makes each vintage unique. I am delighted to have a Perfect Day Tours sponsorship announcement on ‘Eat It’ on Sunday 3rd and 10th of February, as well as other times and shows spread throughout the weeks. 10% off the cost of their tour. 10% off the wonderful wines from Warramunda Estate & Liv Zak Wines – as well as a meeting and tasting with the Robert, winemaker & owner. Family and friends welcome to attend this intimate cellar door experience. Coldstream Yarra Yalley. 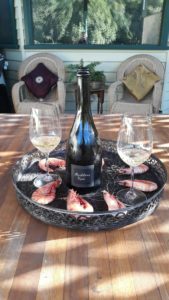 10% off wine at Yabby Lake Vineyards – Mornington Peninsula. Subscriber’s friends & family will also enjoy a fabulous free tasting at either of the above wineries, as well as a generous and delicious shared platter lunch with a glass of wine for only $40! There are a range of tour suggestions and options available on this website, so please let me know what you would like, and I will put together you Perfect Day. Simply fill out the inquiry fields, and I will be in touch as soon as possible. Once you are happy with your Itinerary, a $50 deposit will be required. Please see the dates that have already been booked and are unavailable. Congratulations to Dave Bicknell and the winemaking team at Oakridge for winning the trophy for Best Shiraz at the Yarra Valley Wine Show 2018. The deserving wine was the Oakridge Vineyards Series Shiraz 2017, grown on the home block at good old 864 Maroondah Highway. This prestigious award follows David being awarded the Gourmet Traveller Winemaker of the Year in 2017. 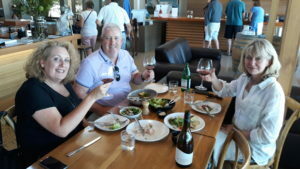 It is always a great cellar door experience at Oakridge – and we are always pleased to take our customers there to enjoy the wonderful wines, with friendly and knowledgeable team members. Perfect Day Tours is now on Facebook. Please click here to view and connect with us!